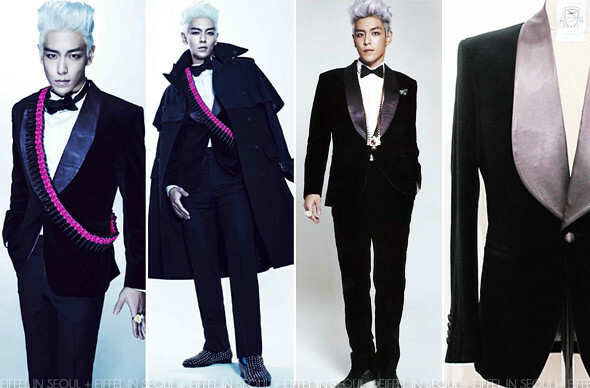 T.O.P or Choi Seung Hyun (최승현), to me is Big Bang's best dressed. Other than having good looks, he dresses well too. 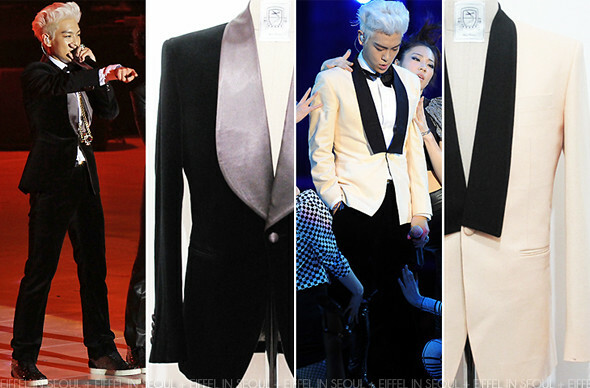 In 'GD & T.O.P', both of them were seen wearing custom-made suits and outfits from Instantology, a Korean designer brand. Although his purple top may be to tight for him (peek-a-boo), the Purple and Emerald Two Button Gingham Check Suit was well fitted on him. This is a look that not everyone can pull off. Then again, not everyone is as daring as him to wear such bold colors. In the promotional photos, T.O.P wore a Vinyl Cape with White Taped with a grey baseball jacket. Seems like transparent garments are really popular ever since Prada Spring/Summer 2010. Similar capes are also found in Yves Saint Laurent Fall/Winter 2010 womenswear collection. 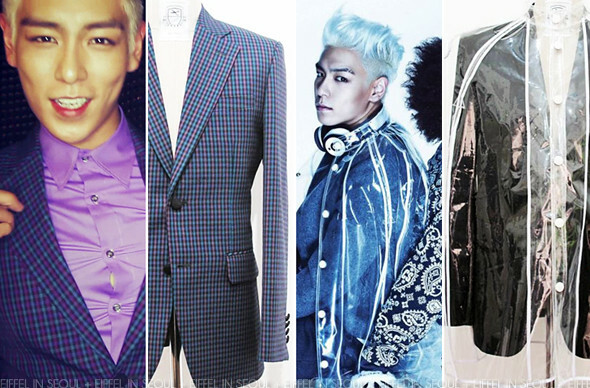 The same blazer was worn at 2010 Mnet Asian Music Awards as well as 2010 Style Icon Awards (not pictured above). I absolutely love the Beige Wool Tux Jacket with Black Square Lapel he wore, if you're thinking on getting the womens' wear.. try Zara or 3.1 Phillip Lim.